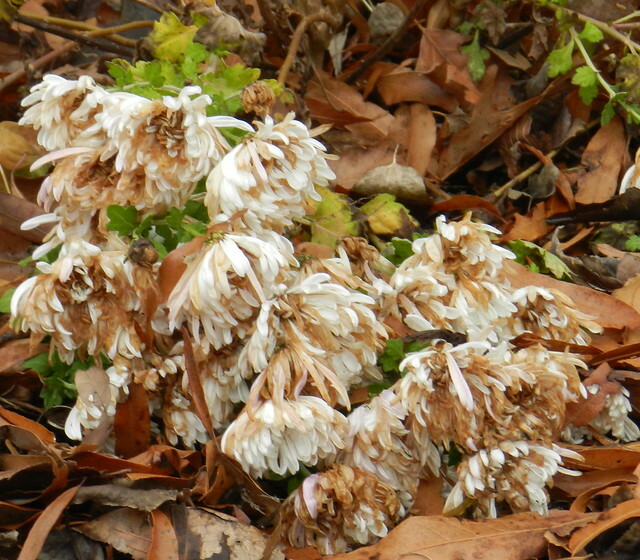 There were so many flowers when our weather turned cold that it took a while for all of them to turn brown and die. I went on a hunt early this week to see if I could find any remaining flowers in the garden I walk in frequently. At first I thought all I'd find were berries and brown flowers. 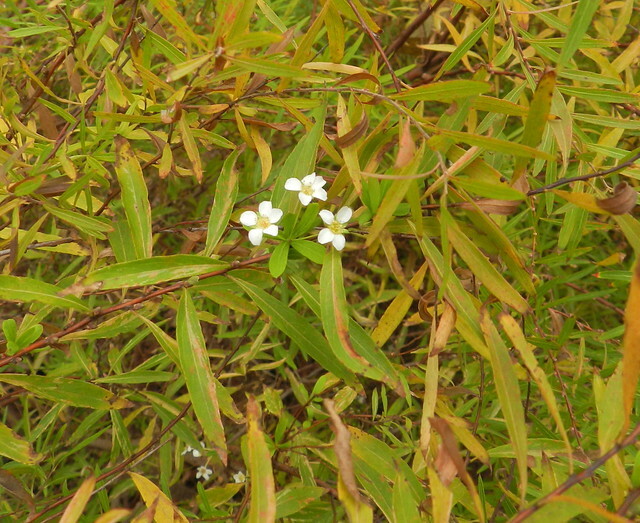 I was amazed to find the little flowers hiding in the bush above. I was even more surprised to see how much color the flower below had left. 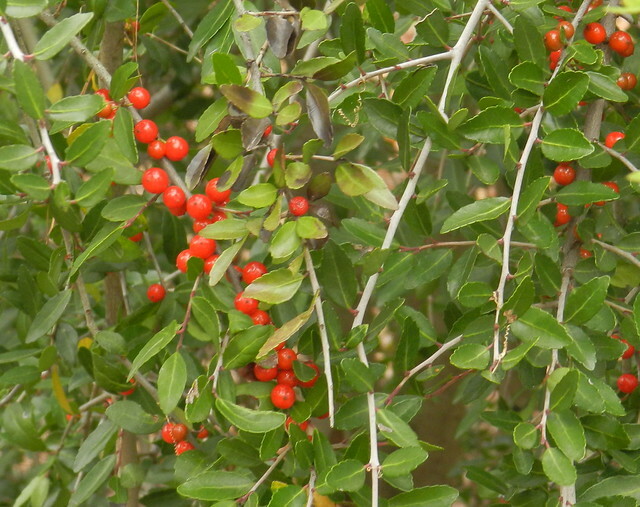 I'll end with seasonal berries. You found some beauties for us. Great photos, thank you Carver. Happy Sunday to you. 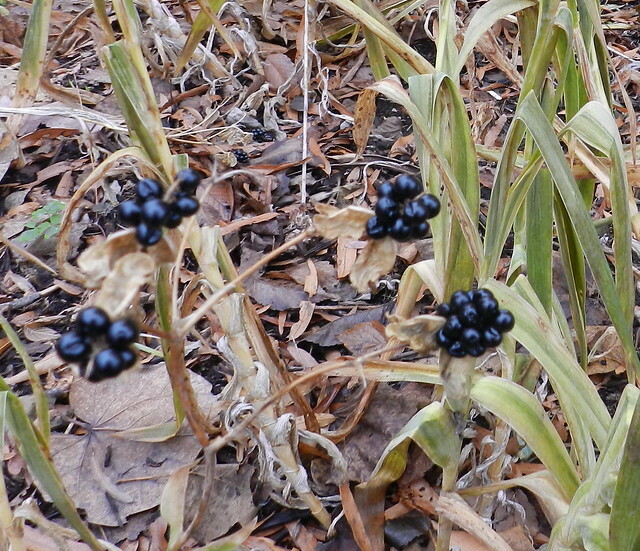 The berries are colorful, maybe that is the blackberry lily? 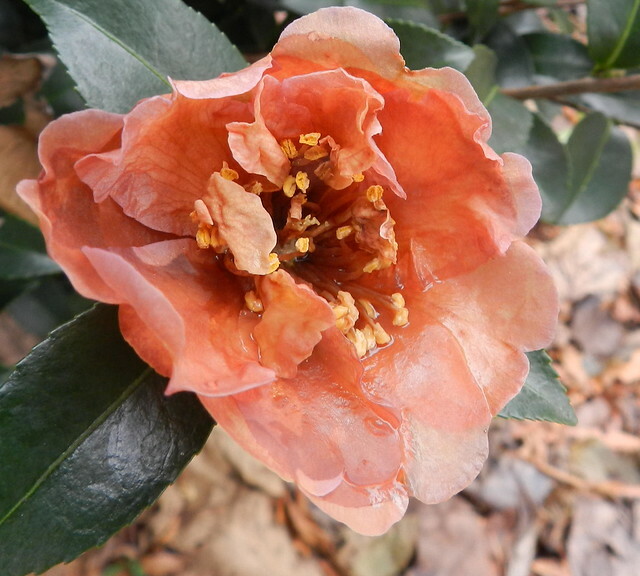 The flowers still look great, I have a Camellia sasanqua that blooms in the winter. Yuletide is supposed to bloom but never does. A few flowers left still how wonderful! 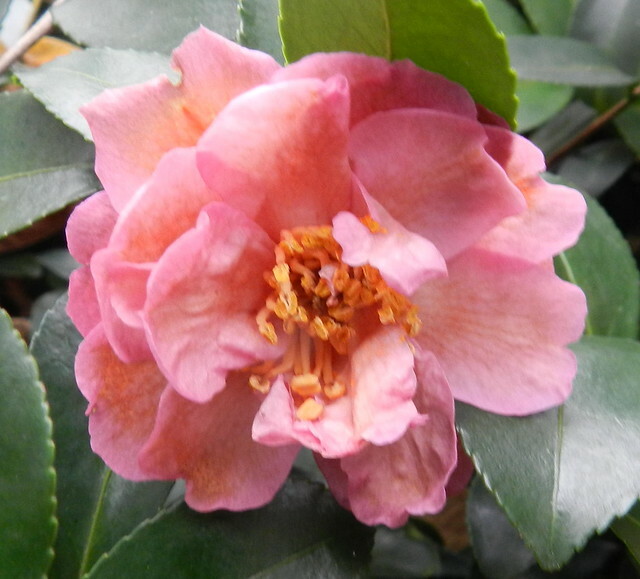 The camellias are gorgeous and I love the red berries. Have a peaceful Sunday! That first week after the cold weather comes, there are still some flowers around!! Here, they are definitely done for the winter. Love the camelias, especially!!! Lovely garden hold-outs! Especially that tiny flower! And beautiful berries too. Hope you had a wonderful Thanksgiving!